The Aral Sea in central Asia used to be one of the world's largest lakes. NASA explains, "In the 1960s, the Soviet Union undertook a major water diversion project on the arid plains of Kazakhstan, Uzbekistan, and Turkmenistan. The region's two major rivers...were used to transform the desert into farms for cotton and other crops. Before the project, the Syr Darya and the Amu Darya rivers flowed down from the mountains...and finally pooled together in the lowest part of the basin. The lake they made, the Aral Sea, was once the fourth largest in the world." 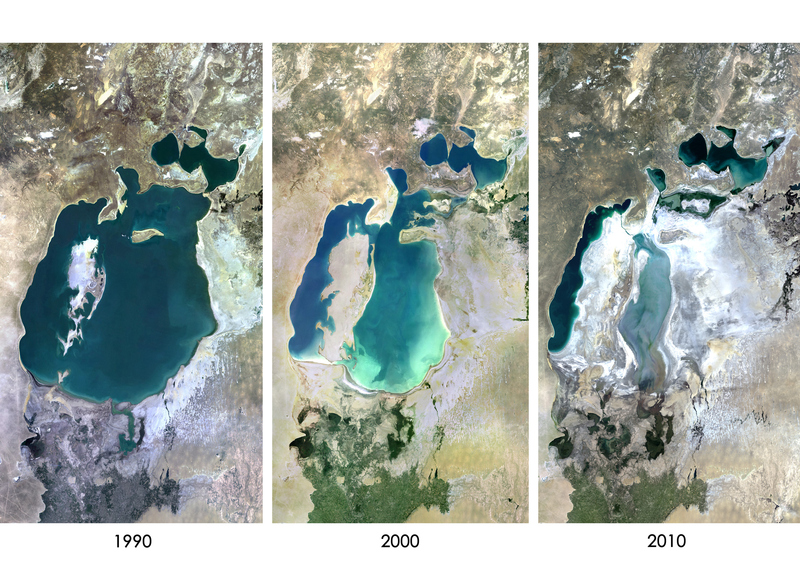 However, after irrigation and drought, the Aral Sea has dramatically shrunk over the years. NASA's Terra satellite has documented the changes and images show the water body being a mere fraction of the size in 2000s compared to what it was in 1960s. NASA notes, "As the Aral Sea has dried up, fisheries and the communities that depended on them collapsed. The increasingly salty water became polluted with fertilizer and pesticides. The blowing dust from the exposed lakebed, contaminated with agricultural chemicals, became a public health hazard." The deteriorating condition of the Aral Sea also led to changes in local weather patterns, making winters and summers more extreme. 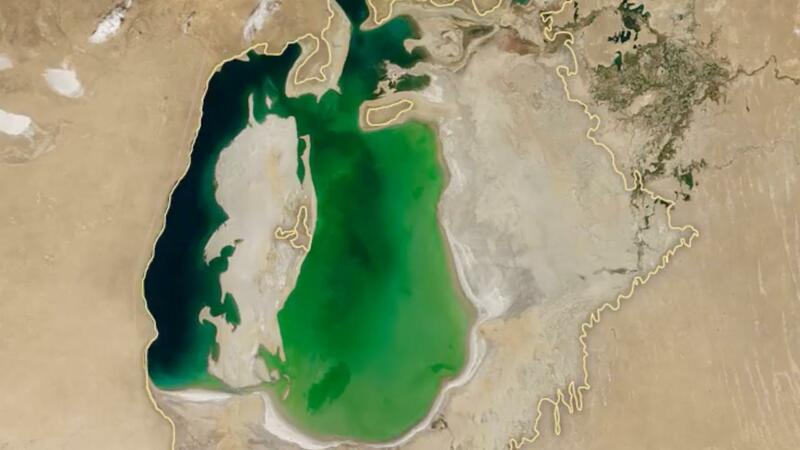 According to NASA, "In a last-ditch effort to save some of the lake, Kazakhstan built a dam between the northern and southern parts of the Aral Sea. Completed in 2005, the dam was basically a death sentence for the southern Aral Sea, which was judged to be beyond saving. All of the water flowing into the desert basin from the Syr Darya now stays in the Northern Aral Sea."